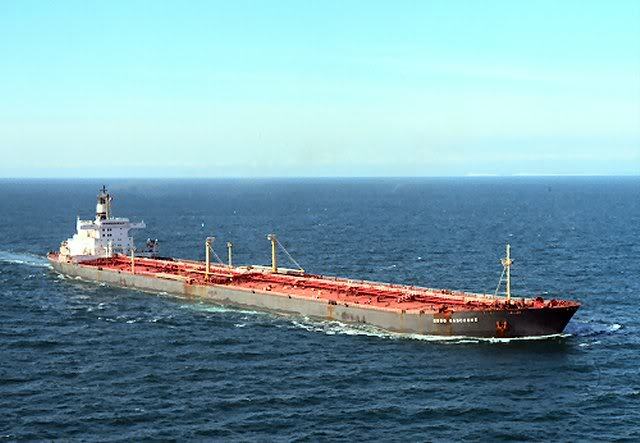 "Esso Gascogne (II)" was build in 1972, scrapped in 1985. "Esso Gascogne (2)", almost the same photo as above. 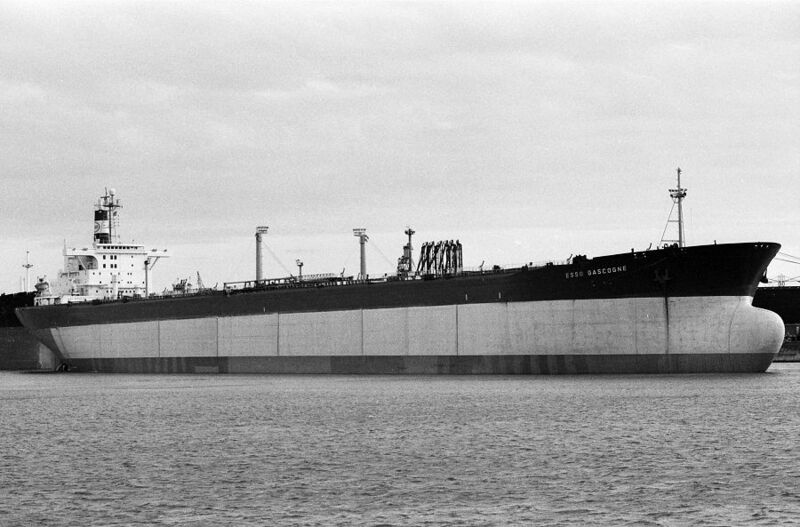 "Esso Gascogne (II)", at Europoort. "Esso Gascogne (II)", at Slagen, Norway. 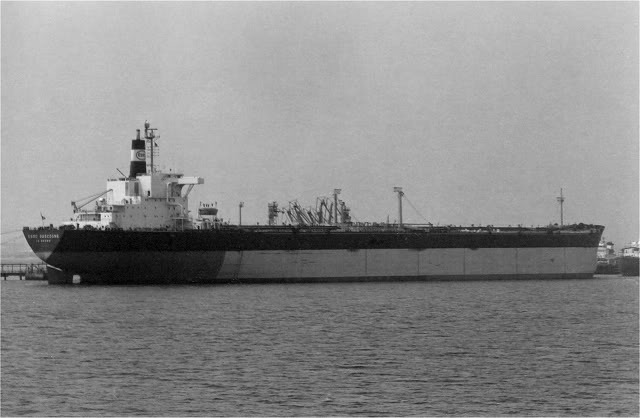 The Miramar Ship Index for "ESSO GASCOGNE"
ESSO GASCOGNE ( 2 ) (1972 -1985) F.N.K.Q. 126188 GT., 99480 NT., 256740 DWT. ; 347.81 l.o.a. - 329.22 p.p. \ 51.81 x 25.61 meters (19.95 draught). Dr. geared to screw shaft by the shipbuilder. 15.75 knots. 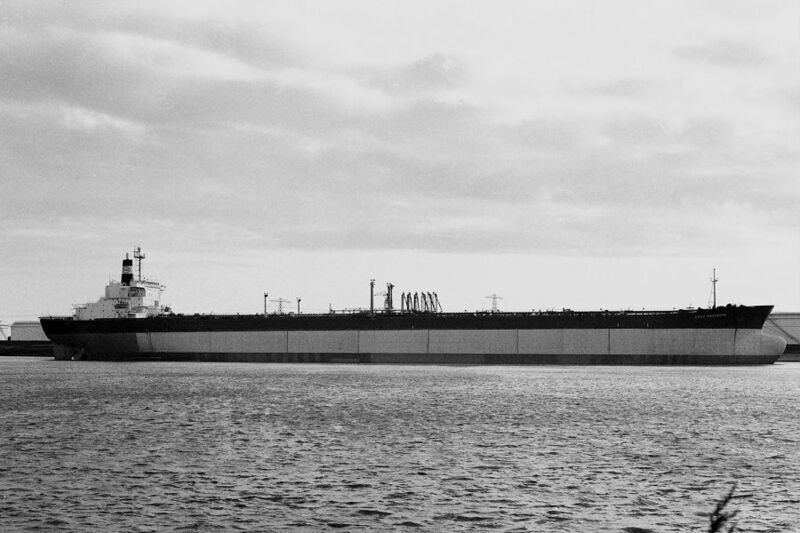 22.09.1972 : launched and 1972 : completed by A.G. Weser (1385), Bremen as Esso Gascogne (II) for Esso-Standard SAF, Le Havre. 25.02.1985 : Arrived at Busan (S. Korea) for breaking up. 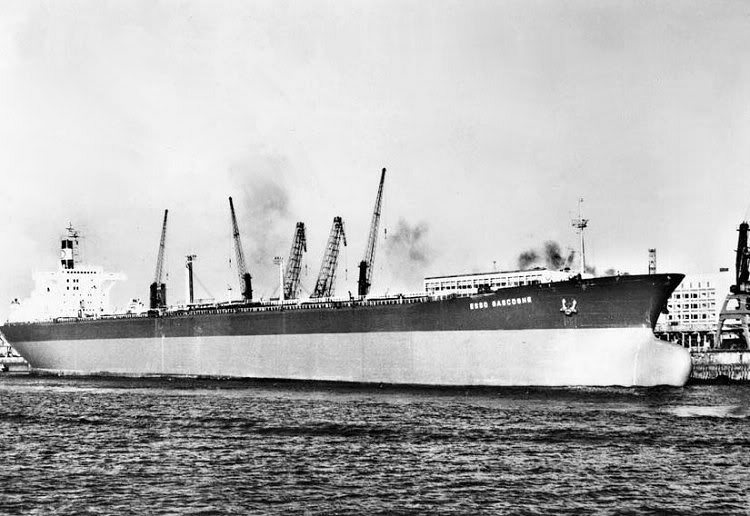 Sistership : Esso Langeudoc (II).